The chore of cleaning the shower is at the bottom of most of our to-do lists, especially if cleaning your shower glass has become painful, time-consuming and in some cases, futile. Soap scum and grime on glass shower enclosures are unsightly and can be very challenging to remove when you do not have the right technique. At EnduroShield we have a simple method for cleaning stained glass and a foolproof way to keep them clean and stain free. Remove loose dirt and debris from the surface prior to applying Bio-Clean. Apply product to surface with a dry or damp, good quality microfiber cloth. PRESS FIRMLY, loosening stains with a rubbing action. Rinse with water until residue free. 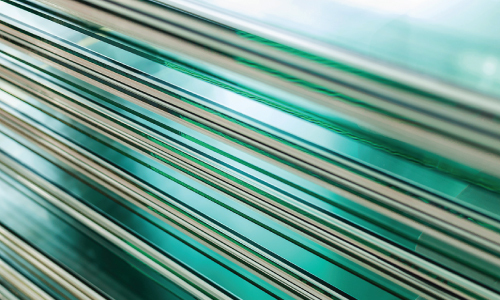 Repeat the process on any areas of the shower glass that are still stained or that have any soap scum residue. 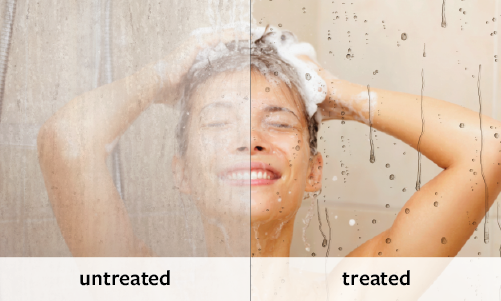 Use EnduroShield Nano Glass Coating on your shower A simple two-step process which cleans the glass and keeps it stain free! 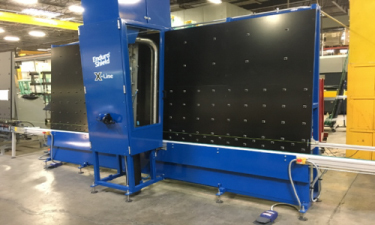 Remove the leftover Pre-Cleaner from the glass with a squeegee or lint-free cloth until glass is streak free and has a sparkling new appearance. 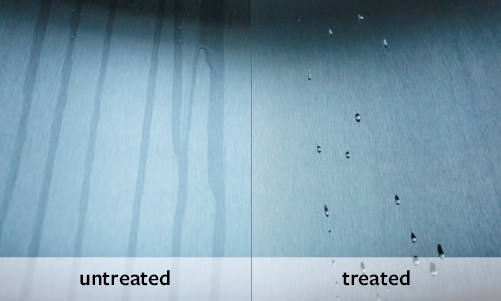 Then simply spray the EnduroShield product onto the shower glass and polish it in, working in small sections at a time. Buff with a microfiber cloth. 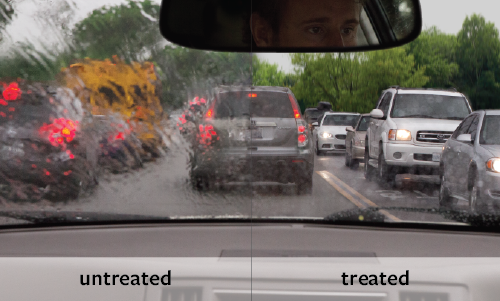 The amazing glass treatment will protect your shower glass and act as a water repellent. No more scrubbing! This simple method of protecting the shower will leave it clean, sparkling and look like new. After this full process, you will just need water and a mild detergent or white vinegar to clean your shower doors … saving you time and money. 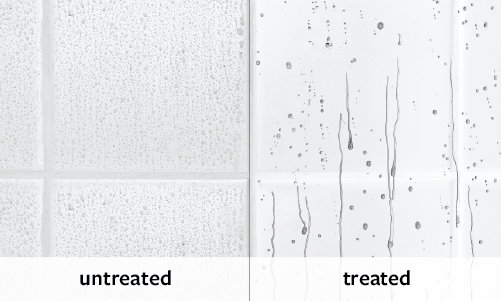 Our best tip for keeping your shower glass looking cleaner for longer once EnduroShield is applied is to keep a squeegee in your shower and use daily. Also after showering leave the bathroom door open and turn on the exhaust fan or open a window. This will keep the build-up of soap scum and grime at bay. 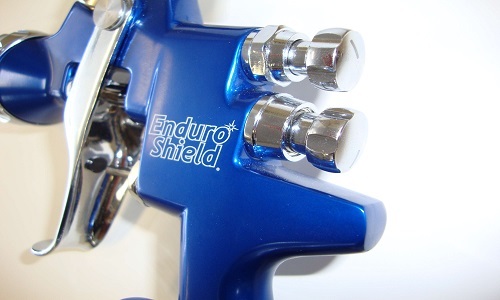 EnduroShield is also available for other bathroom surfaces such as tiles, grout, tubs, toilets, taps, and faucets. Our friendly EnduroShield customer service team has lots of helpful hints and tips for obtaining and maintaining a beautifully clean bathroom so please feel free to give us a call on +1 805 617 4609 if you require any assistance. Our years of experience help to save our customers time and money. 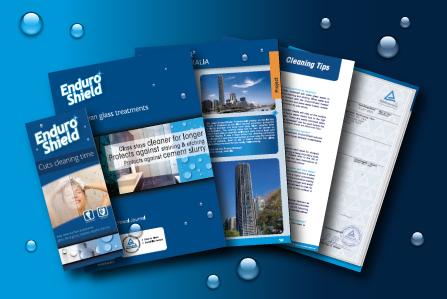 Can I use Windex on glass treated with EnduroShield? Hi, yes you can. 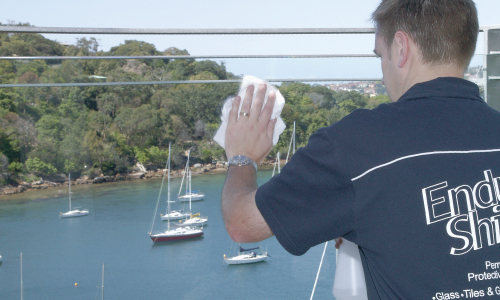 However we also recommend to use vinegar and water with a microfiber cloth to clean the treated glass surface.